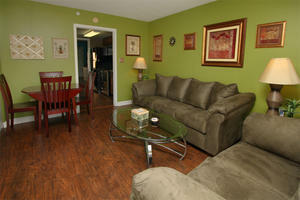 You will find a favorite North Myrtle Beach vacation destination at Verandas 408. 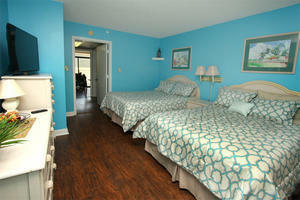 This one-bedroom condominium rental in North Myrtle Beach, South Carolina sleeps six people. 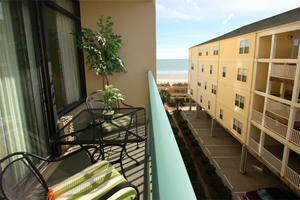 The balcony of this North Myrtle Beach condominium rental has ocean views, sea air and warm sunshine in the afternoon. Bring your family to this North Myrtle Beach condominium rental and swim in the beautiful swimming pool and lounge in the hot tub and ride the lazy river! 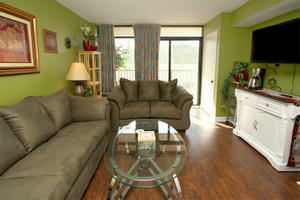 Verandas 408 is a North Myrtle Beach vacation rental with wireless Internet access. 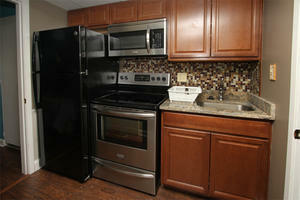 The kitchen is nicely equipped and a washer/dryer unit is provided for you in this North Myrtle Beach vacation rental. This North Myrtle Beach condo rental is ideal for relaxing and for being your North Myrtle Beach vacation headquarters. 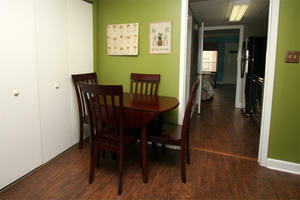 From this North Myrtle Beach condo rental, all the North Myrtle Beach amusements and attractions are but minutes away. Want to go parasailing or rent a Sea Doo? Water sports are nearby. Thinking saltwater fishing sounds fun? There are fishing piers and deep-sea fishing charters close by. 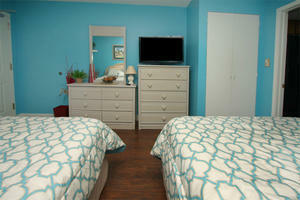 Shopping at outlet malls and Barefoot Landing is around the corner from this North Myrtle Beach condominium rental. This vacation condominium in North Myrtle Beach, South Carolina is also near live entertainment theatres and Myrtle Beach golf courses. The Carolina Opry, Alabama Theatre and Pirate's Voyage are only a few of the live entertainment theatres to be found. House of Blues features live concerts. Comedy clubs, Medieval Times and Legends in Concert also boast a year-round calendar of entertainment. Whether you are in town for the relaxing opportunities or the adventurous ones, there is something for everyone. Take it easy by the pool and the beach. Visit Brookgreen Gardens. Embark on a plantation cruise down the Intracoastal Waterway. For those seeking more of a thrill, board a helicopter or go tandem parasailing. Offshore fishing is delightful on the sportfish boats around. Riding Sea Doos on big waves and challenging yourself to the zipline courses are a fun way to spend an afternoon. The all-you-can-eat seafood buffet restaurants are wonderful regardless of your speed. Feast on shrimp, flounder, grouper, crab legs, crab cakes, chowder and oysters!